Still reeling from the euphoria of participating in one of the most exciting events in Adelaide’s history? Makes the Beatles appearance at the Adelaide Town Hall all those years ago pale in insignificance doesn’t it? 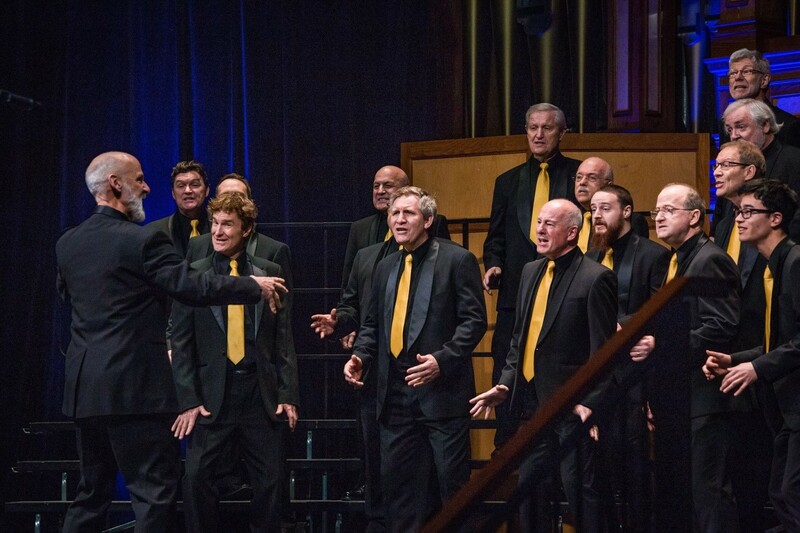 There were certainly many moments in history created over that momentous week that was the 16th Barbershop Harmony Australia National Convention and Contest. How many of you will reminisce in the weeks, months, years to come and say…..
None of these distinctive life experiences would have happened, of course, without the work of the small army of volunteers that made the event possible. A huge thank you to Cam DuRieu and his magnificent team on the ground in Adelaide who unrelentingly worked over the year and during the Convention to ensure all participants had an awesome experience. Cam drew on his personal expertise in events management and his relationships with local external stakeholders to help accomplish this great outcome. Big thanks also to all of the BHA National Councillors for their leadership and harmony of mission which provided the template for the volunteers to work with. What an absolute privilege it was to have attended last Friday and Saturday evenings in Adelaide for the finals. Oh, how sublime it all was and the trip from Camperdown was well worth every k. travelled. Congratulations to everyone who was involved, there must have been mountains of work for so long to put the event together. We had no idea how wide the categories were beforehand so everything was a wonderful surprise. Our thanks to you all for a superb experience. And for those that weren’t there to experience all of those wonderful moments of history in Adelaide this year, you won’t want to miss what’s in store for Hobart! For the second year running, The Blenders have been awarded the 2018 Club of The Year title, presented by BHA Secretary Mr Trevor Rootes. The Blenders combination of musical development, community engagement, youth development and education shone through in the submission, and deservedly saw them win the title. 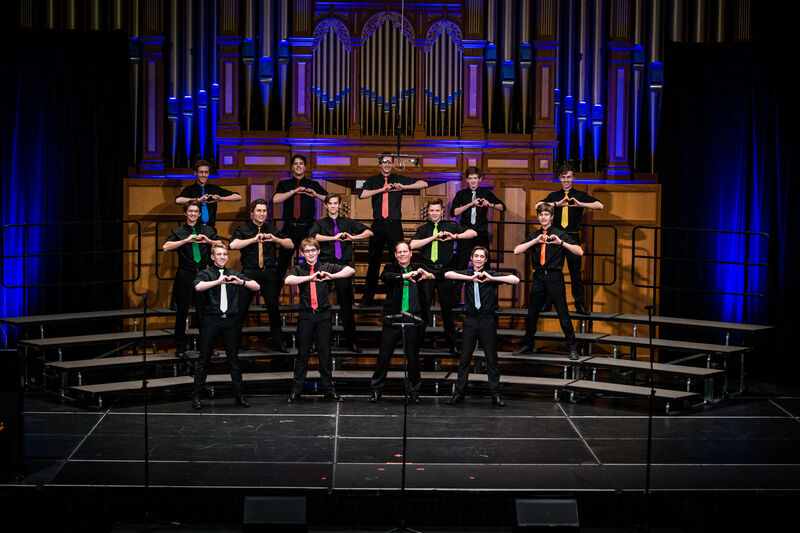 At the Saturday night showcase, the Blenders Youth Chorus demonstrated that barbershop community welcome when they invited the Launceston based School chorus, The Fellas to share the stage with them in what was a wonderful gesture and a demonstration of the wonderful spirit that is barbershop in Australia. We also acknowledge the innovation and initiatives of other clubs nominated including Vox Canvas and Sydney Harmony. On a magnificent Adelaide evening over-looking the city lights from Adelaide Oval, BHA President Dan Milgate had the honour of awarding the 2018 BHA Medal to Mr Mel McMichael. First awarded in 2017, the BHA Medal is kindly sponsored by Mr Derek Cosburn who was on hand to present the medal which recognises an individual’s exemplary contribution to the advancement of barbershop in Australia. All Clubs appreciate having committed members who are willing to go the extra mile, and this award is a timely opportunity for Clubs to show the tremendous gratitude that we have for these members who tirelessly contribute to the success of every Club and ultimately BHA. BHS already offers hundreds of arrangements that are available for ordering by international customers. 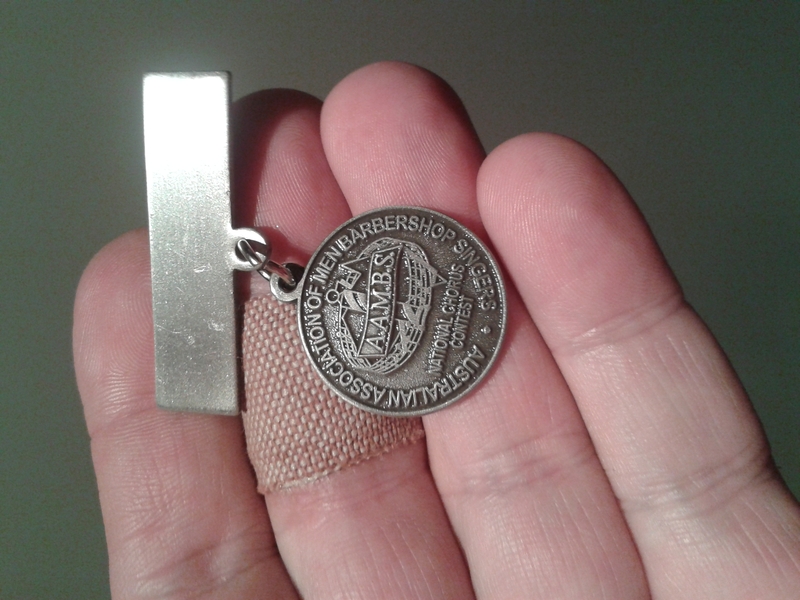 BHA members can order these via BHS’s website at https://shop.barbershop.org. If there is other music in the BHS catalogue without international copyright that you wish to use, there are two ways to go about gaining a Copyright Print Licence for your group. Some members indicate this is a time-consuming task. Print copies purchased in this way are usually around AU$3.30 a copy. 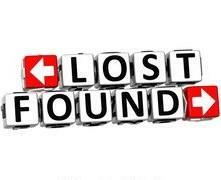 2. it is also possible to seek copyright clearance for Australia through BHS. First, you need to complete a BHS Arrangement & Reproduction Request Form (click here for the BHS Arrangement and Reproduction Request Form and submit to BHS via email to library@barbershop.org. BHS then processes the request. Turnaround time is usually 30-45 days, but may take longer, depending on the copyright holder(s) of a song, the number of songs in the arrangement (medley), etc. 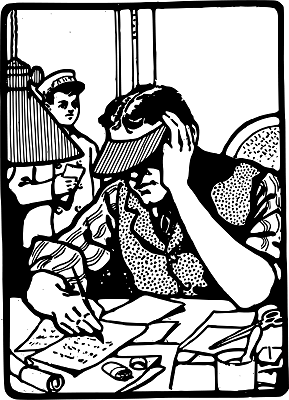 Submitting the completed form to BHS authorizes them to seek the music clearance on your behalf. The cost for clearance through BHS is typically US$150 for 4-20 authorized copies (you print on your own) and the permission is exclusive to the performing group only. This fee covers the permission to arrange, the authorized copies needed, and time/materials fee. (Please note arrangers fees are no longer charged.) You will have an option to cancel your order with BHS at any time before the permission order is paid. The BHS cancellation fee is US$50. BHS employs reasonable best efforts to secure the requested permissions on your behalf for the arrangement. However, US copyright owners have the right and authority by law to charge any fee, determine turnaround time, and even reject the request outright. For this reason, BHS cannot guarantee clearance, in whole or in part, for any arrangement; BHS also cannot guarantee turnaround time, fee quotes, or clearance success. 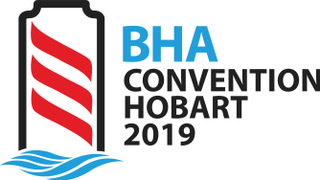 The 2018 BHA membership survey received over 200 responses leading up to the National Convention and the early results are demonstrating some clear trends in member experience and aspirations for our Barbershop community. The draw for the prizes of a $35 BHA shop voucher was held at the farewell luncheon and won by David Merrells and Noel Craig. If you were one of those people that didn’t quite get around to it, you are in luck as we will leave the Survey open until Sunday 4th November so that everyone has had their chance to contribute. After that we will commence the formal analysis process and make a report available to all members in December. A big thank you to all those who contributed and congratulations to the draw winners. It was inevitable we would be highlighting the Adelaide Convention this month. Not only for the excellent management of the event, but for the successful participation of the Melbournaires Chorus and its quantum of qualitative quartets. This 2018 convention will be remembered as the first time ever that the Melbournaires chorus, in competition, has scored in excess of 70% which has been a benchmark since its inception in the early nineties. This has been achieved with a smaller than previous chorus, in which section it came sixth out of a total of sixteen. To add to this success, all the quartets performed well, with special mention to Harmonic Motion who won the silver medal in the Seniors competition, Skeeters with a bronze in the Mixed, and Sound Investment who gained the highest score of any Melbourne quartet in the Open section. The success of Harmonic Motion was even more meritorious when it had to replace its tenor, due to illness, just two weeks before the competition. The Melbournaires came home understandably ecstatic but not complacent. The bar has now been raised thanks to the efforts of MD Ian Lushey, additional coaching by Alex Morris, and hard work by the chorus. 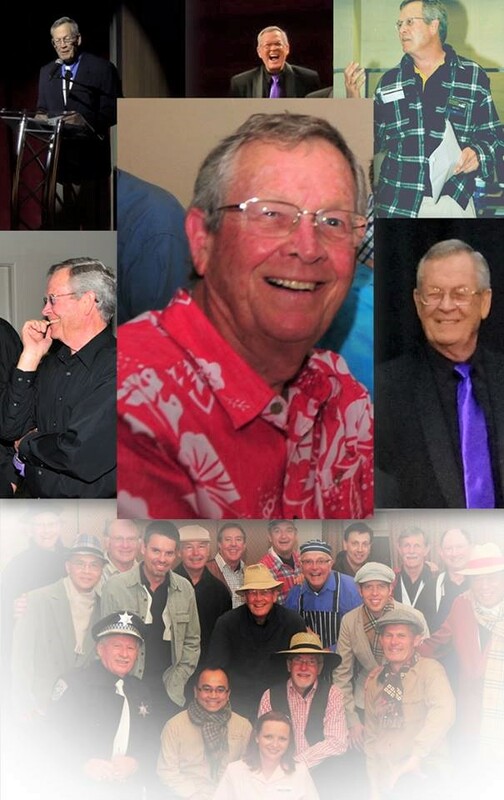 In other news, the award-winning Steve Carnie this month celebrated 25 years as a member of the Melbournaires. 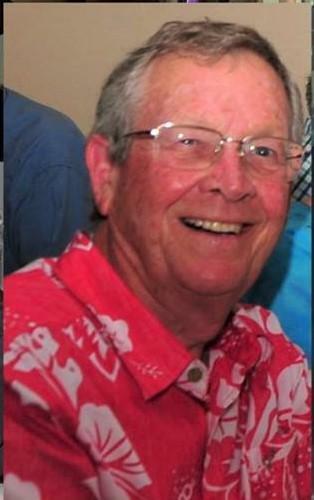 He was lauded by those who knew of his earlier exploits, and retains his position of bass mentor and leader. Congratulations to all, and well done Adelaide on a successful and inspiring convention. 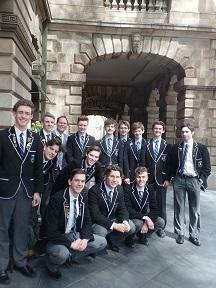 Hills Harmony competed in the recent National Convention in Adelaide with a smaller than normal contingent. There were only two out of the six NSW choruses competing this year although a number of the non attending NSW choruses participated through a composite chorus competing as East Coast Harmony. We also had two quartets competing, HighJacked and Chromium. It was a first convention for Chromium who entered both the open and senior competitions. The chorus performed with just nine singers which was the minimum number allowable under the BHA contest rules. We were just pleased just to compete in Adelaide and were pleasantly surprised when we were awarded the Andy Aberle Mature Aged Chorus Award. Soon after returning from Adelaide we had a sing out at a local retirement village where, along with other show pieces, we performed our contest set. We were recently selected by the Hills Shire Council to perform during the opening season of their brand new Pioneer Theatre. 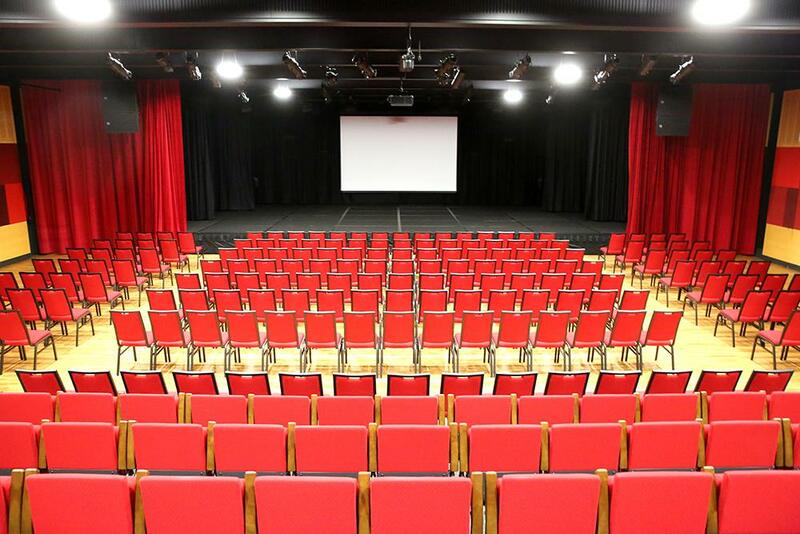 This new state-of-the-art theatre is located at Castle Hill in NW Sydney and is designed to hold an audience of up to 350 people although it can be configured to suit many different types of shows including more intimate audience configurations. A substantial donation will be made to from the net proceeds of this concert. Adelaide has been and gone – what a beautiful city and great Convention. Congratulations must go to the organising committee and the myriad of volunteers who helped make this Convention such a success. Adelaide Town Hall was a great venue with the grand pipe organ providing the back drop, and the innovation of video screens which allowed the audience to get up close and personal with the performers. Thank you to the BHA for the foresight of streaming the competition for FREE on Youtube - it allowed our past-members, friends and family to view and feel part of it, plus we know it was shared wider creating a larger fan and interest base! Congratulations to The Festival Statesman, scoring an all-time high score for an Australian chorus. 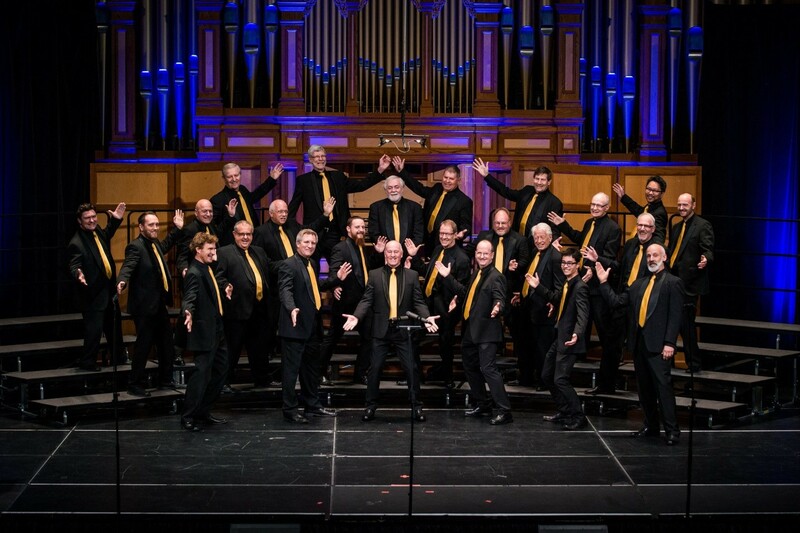 We wish their director Jonathon Bligh continued success on his future path and thank his chorus who have well and truly raised the bar for Australian choruses and given us all something to strive for. Convention day commenced for us with our traditional breakfast setting the scene and tone for the day. Acknowledgment of past and life members, and first convention participants makes for a special part of the breakfast as well as enjoying breakfast with our partners and supporters. We had a very successful Convention, coming away with 1st place in the large chorus and 3rd place in the Open Competition. Our score vindicates our Music Team’s decision to take us on the path that they have mapped out for us. We’ll continue on that journey and see where it leads us. Credit also to Blenders Youth Chorus (BYC) who won the Youth Competition. A highlight for The Blenders was a BYC lead initiative that saw them share the stage in a combined performance with their youth competitors The Fellas for the show case concert. It just happened that both choruses had sung the same ballad in competition, Come What May, and My Girl was in both chorus repertoire - albeit slightly different arrangements. With a quick rehearsal, the guidance of Jono Albertini and Jeff Clarke plus the addition of Open Champion Quartet Blindside, a hugely memorable moment was created. Congratulations must go to Jeff Clarke for preparing and bringing The Fellas to Adelaide and getting them involved in The Barbershop world. 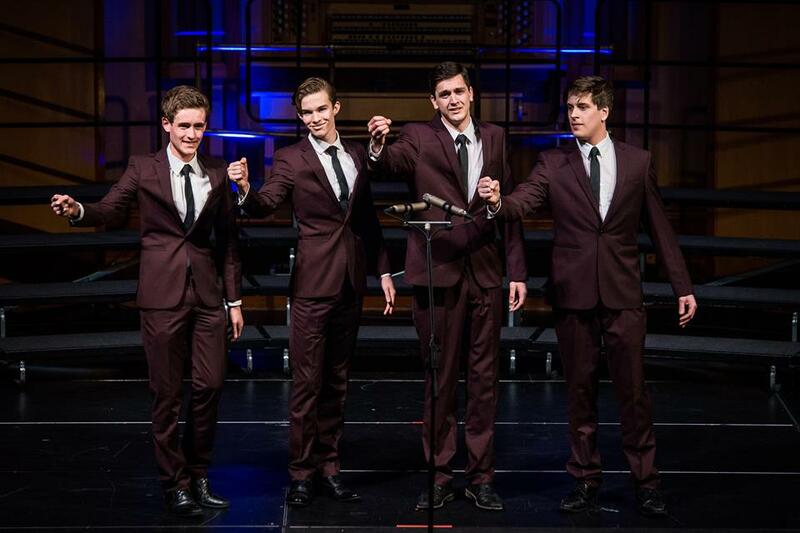 Congratulations to Pan Pacific Champions Blindside who won the Open Competition and one of our newer quartets, Sundays Best who won the Youth quartet competition and finished in the Top Ten of the Open competition. Well done to them both. Congratulations also to Benchmark on winning Senior competition featuring one of our Life Members, Derek Cosburn. To top off the Convention, The Blenders won Club of the Year which is testament to all the effort that goes on behind the scenes and our emphasis on community and youth engagement. Our next major event is our 30th Anniversary Dinner and Awards Ceremony to be held on the 3rd November. Blenders Alumni will come together with current members to celebrate 30 years of Blenders history. One of the highlights of the evening will be a performance by the combined Blenders and Alumni Chorus. It should be a fantastic night. Bookings are available on www.trybooking.com and are $55 per head. All are welcome. Our chorus is very much on the rise as we scored our best result ever at the recent Convention in Adelaide, something we are very proud of. There seems to be a whole new culture within the club and those songs that we all thought were beyond our abilities are now being reassessed. Brian Martin, our MD and Graham Kingsford out assistant MD have made a considerable contribution to the improvement of the singing. 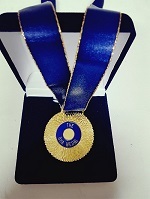 We are very proud of our founding member, Mel McMichael, who was given the highest accolade in Adelaide with the BHA medal for services to Barbershop in Australia. We were also well represented with three quartets in the competition who all came away with personal best scores. 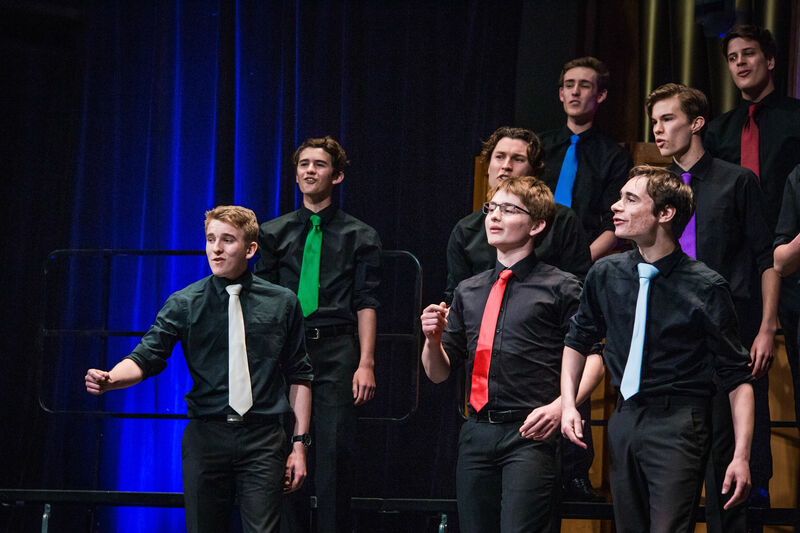 The chorus and quartets have been involved in a number of sing-outs over the past two months and culminated this week-end with our annual fund raising concert. 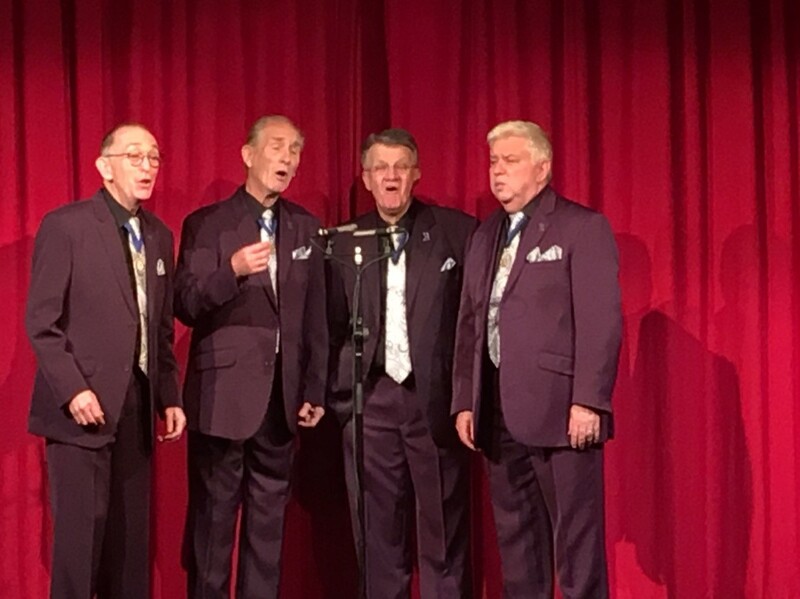 We were very privileged to have Benchmark, the multiple Seniors’ quartet gold medal winners, as our headline act. They are always so accommodating with their time and provided two wonderful and entertaining sets. We were also fortunate to gain the services of the Queensland Eisteddfod gold medal winning Oriana choir, who sang three fantastic songs in wonderful harmony and an octet from local school Matthew Flinders High, who sang beautiful acapella songs. We topped this off with a superb Sweet Adeline’s quartet, Fancy That and local Statesmen quartet, Rimfire. Sunshine Statesmen rendition of I am Australian, with lights and smoke was well received but unfortunately set off the smoke alarm much to everyone’s amusement. All in all, despite the rainy night, the evening was a great success. 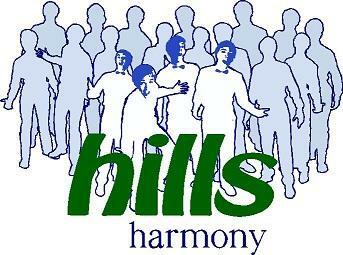 We are now looking forward to being part of the Hinterland Harmony Bonanza in Maleny this week-end, and follow this with a retirement village concert with Hot Ginger Sweet Ads Chorus and then into a number of Christmas sing outs. 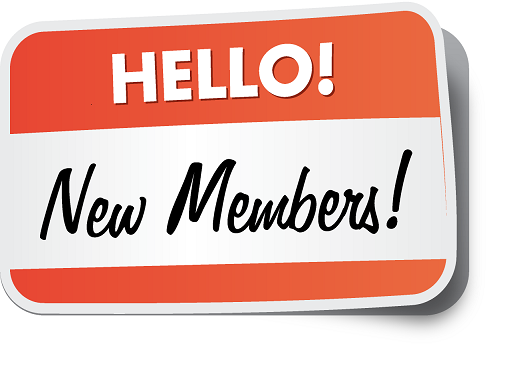 We are filling up our new web-site with interesting items (http://sunshinestatesmen.harmonysite.com) so please check it out. Whilst Launceston only has a very small barbershop community, we have been made to feel so very welcome by the Australia wide community. 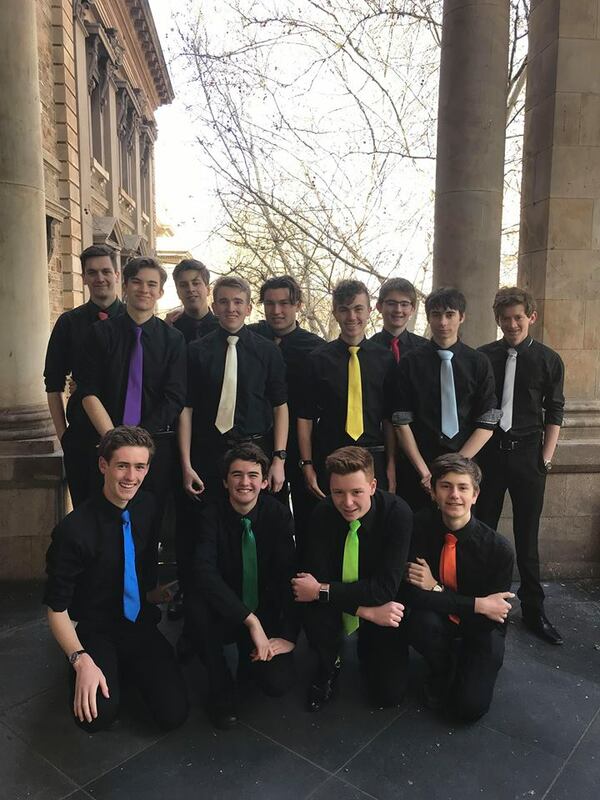 With the support of Barbershop Harmony Australia and Deep South (our Hobart friends), we were fortunate enough to attend the National Convention in Adelaide and each member of The Fellas and Club Sandwich (Launceston Church Grammar School) had the most amazing experience. 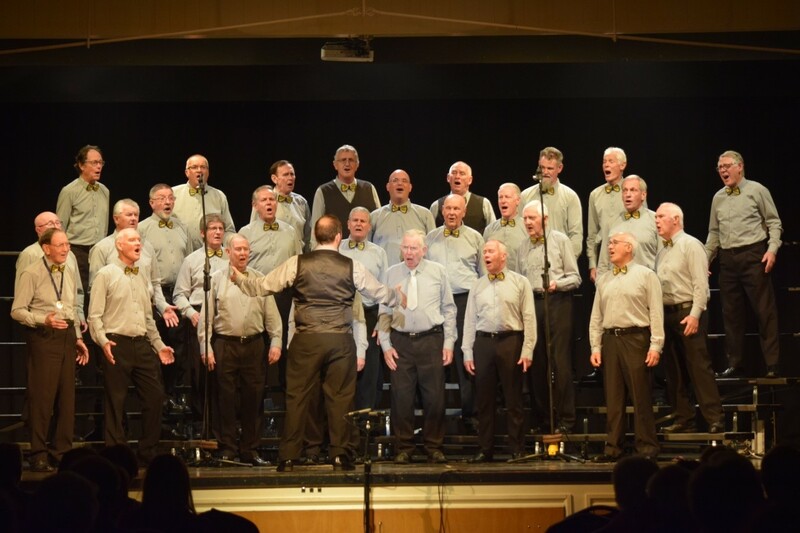 From the schools competition and workshop, youth workshop, the Big Sing, the John Little Show and Chorus Corall, to the Chorus and Quartet competitions, we were so well received by fellow ‘barbershoppers’, audiences and judges alike. One of the absolute highlights was performing at the Showcase of Champions, alongside Blenders Youth Chorus, Sunday’s Best and Blindside. This will long live in the memories of all the boys and we thank Jonathan Albertini for the invitation! 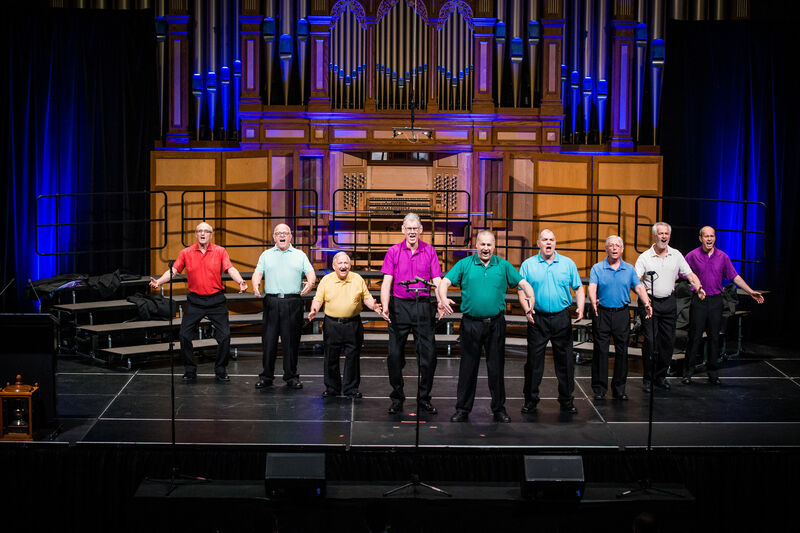 On our return to Launceston, we shared a concert with the National Boys Choir and, of course, we exposed a very different audience to barbershop singing! From every Fella and member of Club Sandwich…a most harmonious thank you! Well what a treat it was to have the National Convention in our home town, firstly thanks must go to the organising committee and Cam DeReiu and his team for such a well organised and thoroughly enjoyable event. Our Chorus and Quartet did not win any medals and did not expect to as we are basically an entertainment chorus, what we did enjoy was just being part of the occasion, however the chorus and quartet did score our best scores. What was really great was meeting up with interstaters and old friends and putting faces to names we see mentioned from time to time. The guest quartet were top rate and what a likeable friendly bunch of fellas, they had time for everyone to have a chat. All in all a terrific week of top class barbershop and thanks again to everyone involved and all those who travelled from far and wide to visit us.